I usually like to keep to amigurimi/crochet/plush-related topics in this blog, but as a mom and a lover of things handmade I wanted to share a great find with all of you. 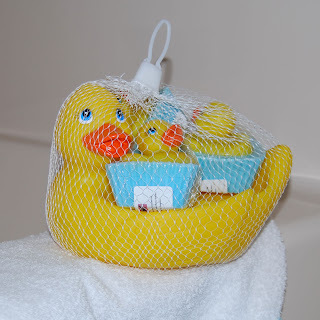 Joanna offers sets like Rubber Duckie and her babies here for just $11.00. The glycerin soap she offers has a coconut oil base and is hypo-allergenic. Plus, it smells WONDERFUL! Our set of soaps is scented with cookie dough, but she also offers bubble gum, strawberry and chocolate brownie. Joanna and Matt are a couple of really creative folks and in addition to Joanna's fantastic bath and body products (check out the great stuff she has for mom! ), you can find Matt's original paintings and music-inspired magnets. The duo will be at Oddmall in May and you can bet I'll be stocking up on more of their soaps then!